The panel will deliberate about the benefits of using a low-carbohydrate or low-fat approach for diabetes treatment. Evaluate various dietary methods for attaining glycemic control. 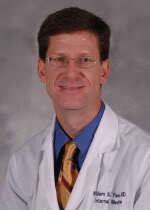 John Foreyt is Professor, Department of Medicine, at Baylor College of Medicine, Houston, Texas. He is Director of the DeBakey Heart Center's Behavioral Medicine Research Center, Department of Medicine, at Baylor. He has served as a member of the National Task Force on the Prevention and Treatment of Obesity, NIHI; The Committee to Develop Criteria for Evaluating Outcomes of Approaches to Prevent and Treat Obesity, Institute of Medicine, National Academy of Sciences; and The Expert Panel on the Identification, Evaluation, and Treatment of Obesity in Adults, NIH. He has published 17 books and more than 380 articles in obesity, lifestyle modification, and related areas. Kevin C. Maki, Ph.D. is the Founder and Chief Science Officer for the Midwest Center for Metabolic and Cardiovascular Research in Chicago, Illinois. Dr. Maki also holds an Adjunct Faculty position in Biostatistics and Applied Epidemiology at DePaul University. He earned a Ph.D. in Epidemiology from the University of Illinois at Chicago's School of Public Health, and an M.S. in Preventive and Rehabilitative Cardiovascular Health from Benedictine University. Dr. Maki has participated in more than 250 clinical trials and observational studies as an investigator, consultant or statistician, and published more than 250 scientific papers, books and book chapters. Dr. Yancy, a general internist, is a Research Scientist in the Center for Health Services Research in Primary Care and a Staff Physician in Ambulatory Care at the Durham VA Medical Center. He is also an Associate Professor in the Department of Medicine at Duke University. He has research interests in the impact of obesity on health and health care, and in weight loss interventions used in primary care. His prior work has examined the relationship between obesity and use of clinical services. He has also performed a number of trials investigating the effects of various dietary and weight loss approaches on body weight, cardiovascular risk, and diabetes.